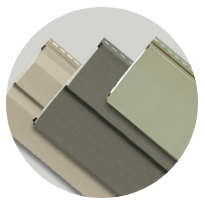 Series 6000 Vinyl Siding | Window World D.C.
Our most durable vinyl siding product designed to perform in all weather conditions. Featuring all-weather performance components, Prodigy Vinyl Siding protects your home while saving you money on monthly energy bills all year long. And with 1-½ inches of EPS insulating foam, you’re sure stay cool in the summer months and warm in the colder seasons. Prodigy consists of a one-piece contoured system that locks securely into the siding panel. This ensures a maximum level of strength to resist all weather conditions, even hurricane-force winds. Beneath the contour is an interlocking panel design that renders the siding structurally independent, which helps Prodigy siding endure year-round. 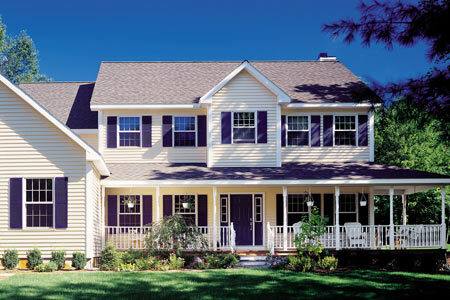 Choose from 21 rich, classic colors to make sure you get the siding product that best fits your home’s decor. Each color comes with ChromaTrue’s fade-resistant technology to maintain its beauty throughout the year. Just the occasional wash is all it takes to keep Prodigy siding looking good as new. Want to learn more about Prodigy siding? Contact us today for your free home estimate!